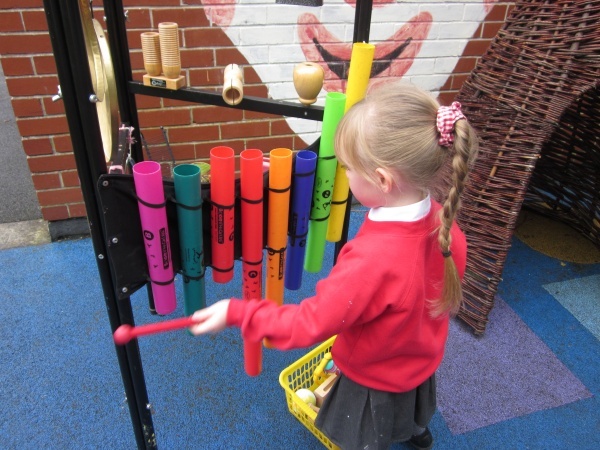 Here are some of the things we get up to in Nursery. We love getting busy both indoors and outdoors. Now that it is December we are getting ready for Christmas. 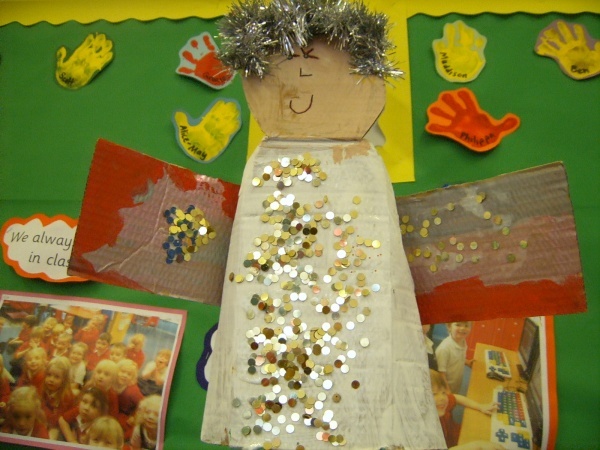 The children have been busy learning songs for their Christmas play and making a Christmas tree to go on the stage. 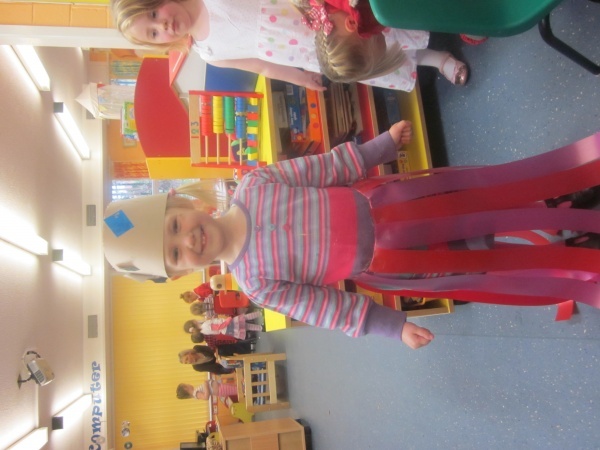 We were also lucky enough to see one of Nursery’s dress rehearsals. We had a great time at our Beach Party. Reception came and joined us. We played ‘pin the tail on the donkey’, made kites, built sandcastles, played in the water and danced. We even had ice creams and had a knobbly knee competition! 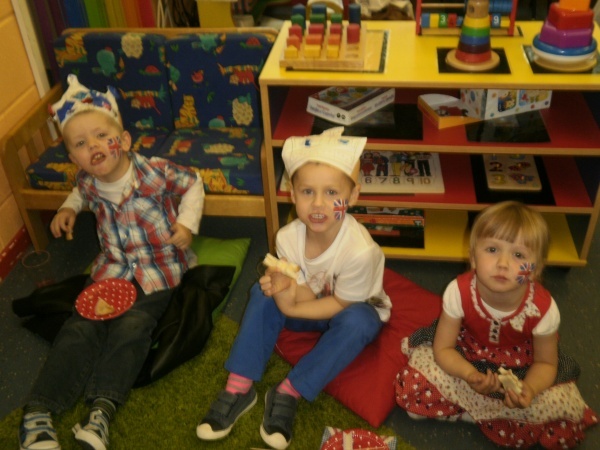 Thank you to everyone who came and contributed to the Nursery Fair. 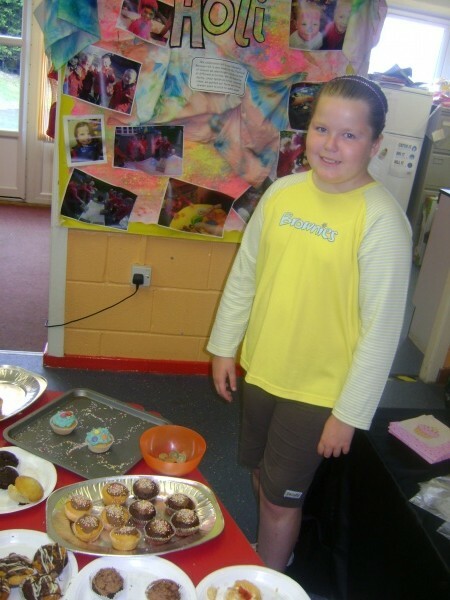 The Brownies who helped on the stalls were fantastic! Thank you so much to the Year 5’s and Year 6’s who offered to help with the facepaints and worked with some of the nursery children. 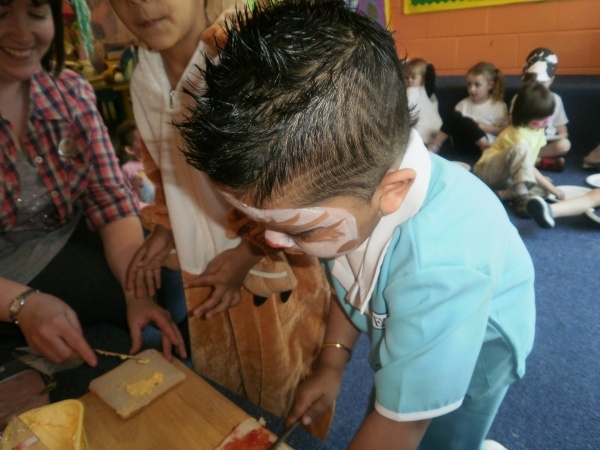 We had a great time and raised over £300! Following the Wedding of Prince William and Kate Middleton we had our own Wedding! 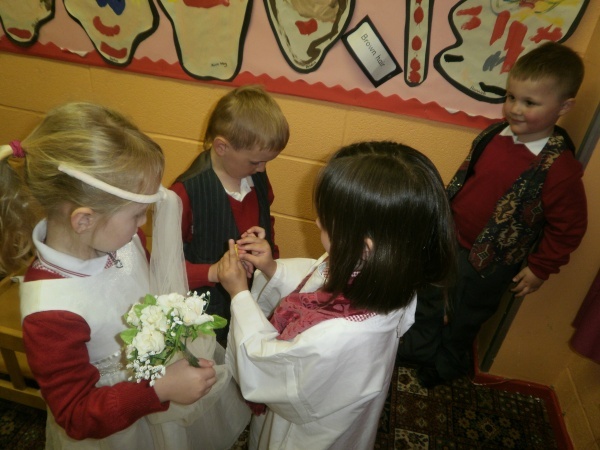 We were lucky enough to be able to ‘get married’ at St Mary’s church in Whickham. A huge thank you to Father John who conducted the ceremonies. 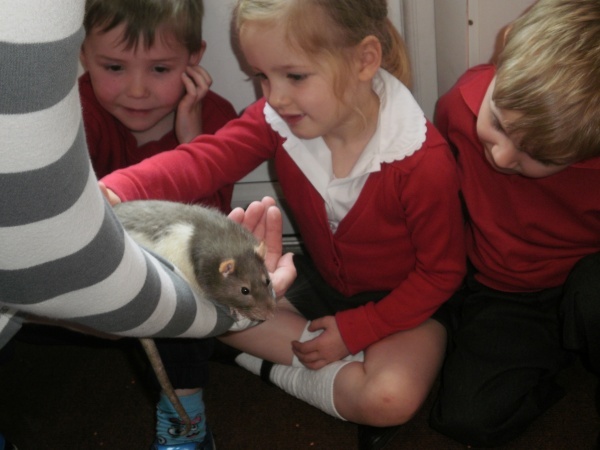 ZooLab came in and brought some minbeasts and small creatures for us to look at and feel. It was brilliant to be able to see them up close. 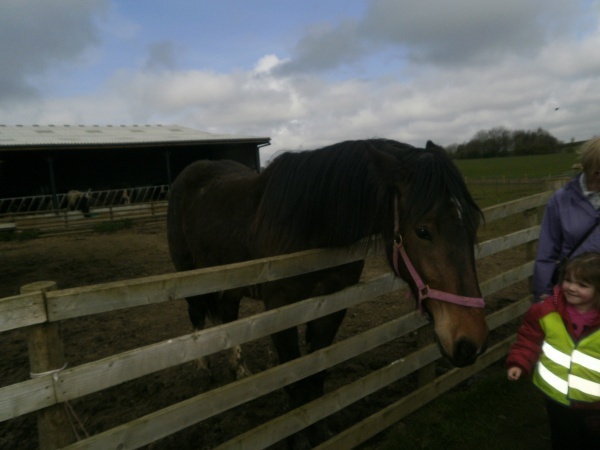 We were all very brave!